Despite not being busy on the blog things have been busy. 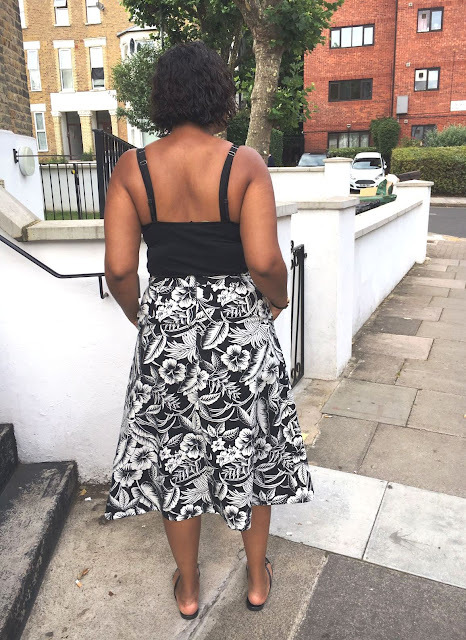 I purchased an overlocker and went on a one day course to get to get to grips on it. 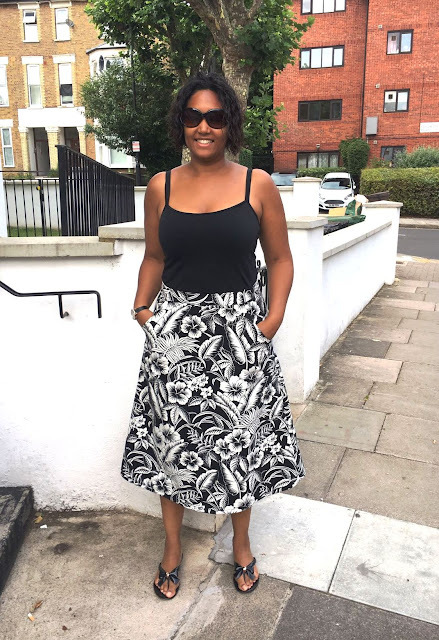 After feeling more confident with using it, I decided to try it out on a linen skirt. All of the inside seams are underlined and overlocked as I wanted a heavy drape on the skirt. 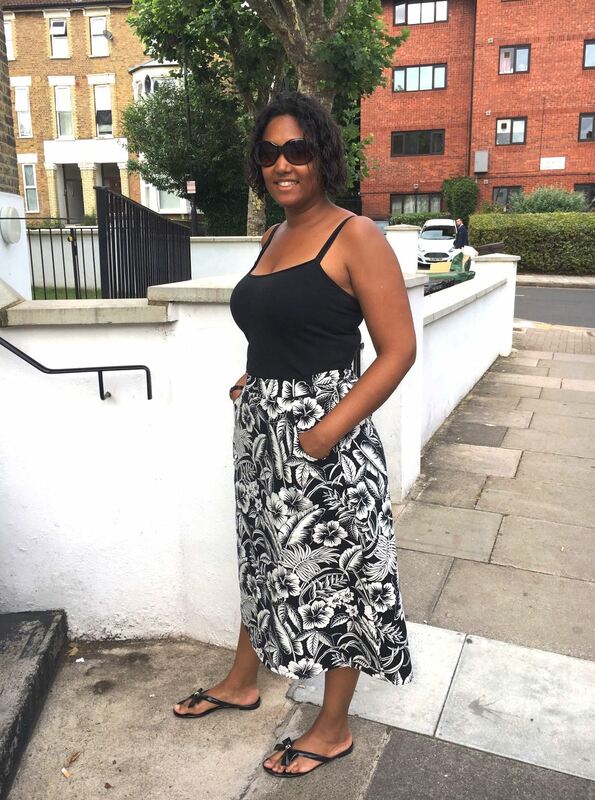 I was hesitant about the length of the skirt (sometimes I am not sure that I can pull off midi skirts) but I actually really like it. 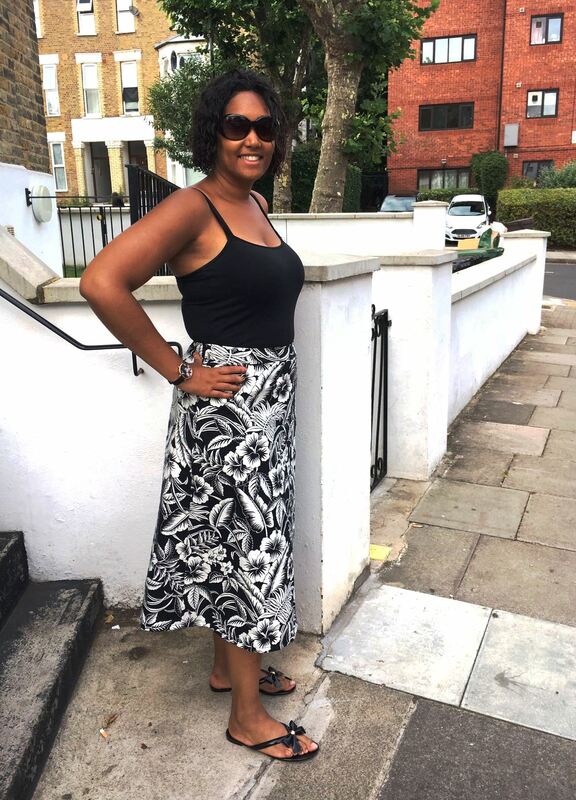 It is super comfortable and easy to wear and I feel that the skirt allows the fabric to be the star of the show. Although stolen, after confessing my theft to my mum she shared that this was purchased at Simply Fabrics in Brixton for around £5-£6 per metre. This is a simple skirt pattern that is easy to make and the pockets are a fun detail! The skirt is a great addition to my Summer wardrobe. I am working on a few summer tops before I start my Autumn Winter sewing. Looks fabulous, you are an inspiration. Have made another top and planning cropped pants next . Cute skirt! I love the fabric and you look great in this silhouette! (And I am sure your mum did not mind the theft...lol).